I"m such a big fan of Meg Mac. The past few months has been a whirlwind of good fortune for Australian singer Meg Mac. 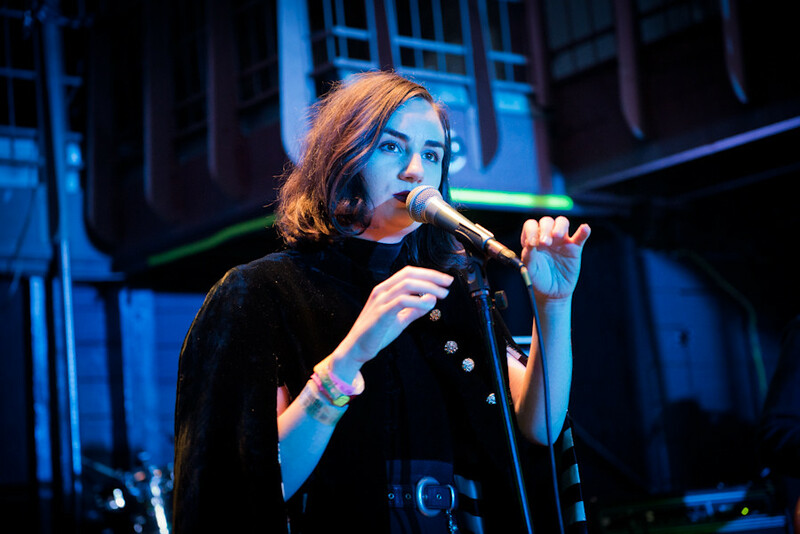 After being singed to U.S. labe 300 records last February she was quickly wisked away to play a grueling six shows in five days at SXSW. In what was to be a short stay became much longer and welcomed stay after she was asked to join Clean Bandit on their tour. Now, after finishing up that tour, Meg Mac was asked to support D'Angelo and the Vangaurd starting June 7th in Oakland and runs through the end of the month. Australia's most buzz-worthy breakout artist, Meg Mac in not on a lot of people's radar stateside just yet. She's been the talk of the music scene in her hometown in Sydney. Although unknown yet here in the states, Meg Mac has been selling out her tour across Australia. Other than being nominated for Rolling Stone's "Best New Artist" award, the 24 year-old was named one of Marie Claire's Artists to Watch in 2015 and won Triple J's Unearthed Artist award last year. Her debut EP was released April 7th. Go check it out!